He was moved by the devotion of the Azhwars. Attempt has so far been made to trace the circumstances under which Ramanuja’s sympathy for the common masses originated and developed. It is a fact that the main inspiration for Ramanuja’s catholicity was the very life of Nammazhwar, who was born in the lower Varna. But as Nanjiyar explains, his depth of knowledge and devotion to God had been so remarkable that even God Himself desired to share Nammazhwar’s wisdom. That is the reason why Nammazhwar is referred to in tradition, as the Angin (the soul) and other Azhwars as his Anga (body/parts of the body). Pillai Lokacharya decries the efforts made by some self-styled orthodox to go into the origin, varna, etc. 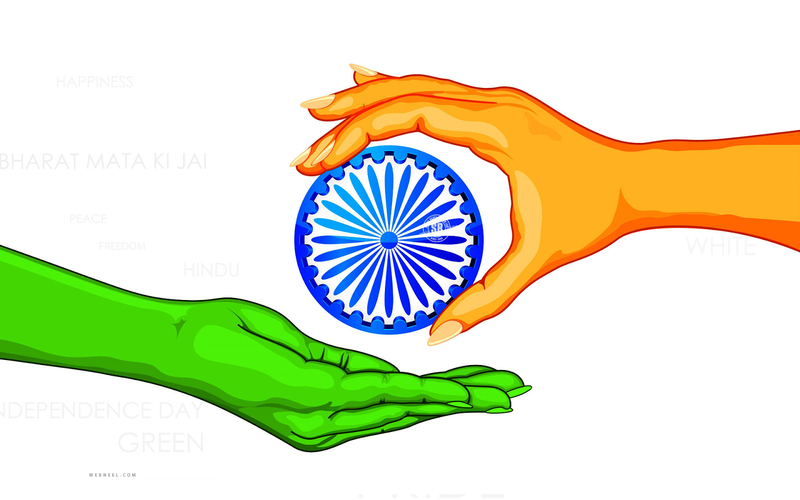 of the Azhwars and Acharyas. He says that this kind of attitude is similar to the examination of God’s images (Archa-forms) as to their materials content _ metal, wood or mud. He even goes to the extent of equating this spirit of misguided people to the act of examining the origin of one’s own mother. Tiruppanazhwar, who composed the famous Amalanadipiran, was a Panchama by birth. Hagiological works like the Divyasuricharita and the Guruparamparaprabhavam wax eloquent about his supra-caste status. As pointed out earlier, the Lord Himself commanded the high priest of the Srirangam temple, Lokasarangamuni, to bring the Azhwar into the sanctum sanctorum, and that the priest carried the reluctant Azhwar on his shoulders, for which reason he was called Munivahana. All these accounts had a deep impression on the mind and heart of Ramanuja which was already mellow with wisdom and detachment. Ramanuja in his lifetime proved by the example of his own life, that asceticism and social service were not incompatible with each other and that people belonging to the lower ranks in the social set-up need not necessarily be lower in spiritual progress also. Those who are spiritually advanced should be treated with great respect, and speaking ill of them will be a crime called “Bhagavatapachara,” which is more serious than the crime against God Himself (Bhagavad-apachara). 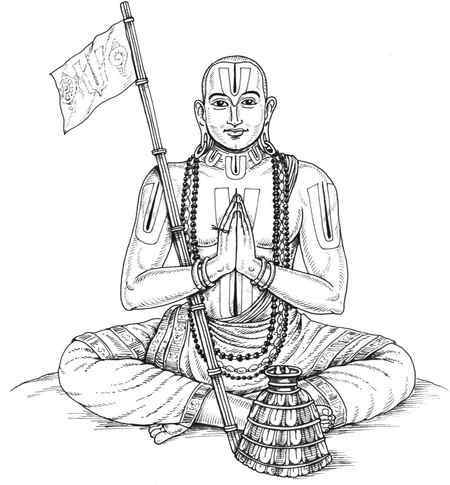 Further, it had been stated earlier that among the followers of Ramanuja, there were many sattada s (who did not wear the sacred thread) who were well-versed in the Divyaprabandha and other religious literature. Ramanuja gave them asylum in his vast asrama (as also in his heart) and assigned to them different duties so as to enthuse them in pursuing the path of spirituality in the existing social set-up. 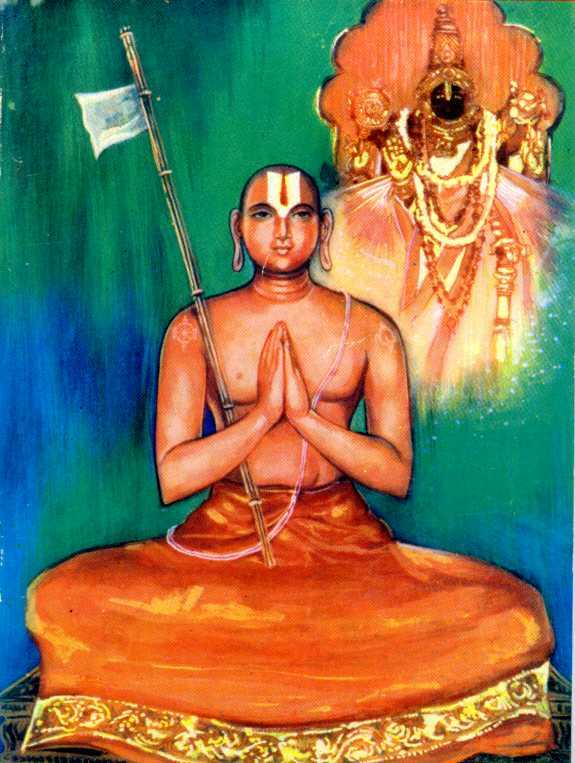 Guruparamparaprabhavam (6000) states that when Ramanuja’s body was being taken for burial in Srirangam, there were 700 ascetics chanting the Bhrguvalli, Brahmavalli and the Narayananuvaka; 9000 Srivaisnavas wearing the sacred thread and 12,000 devotees without the sacred thread (i.e, Sattadas) who were chanting the hymns of the Azhwars. 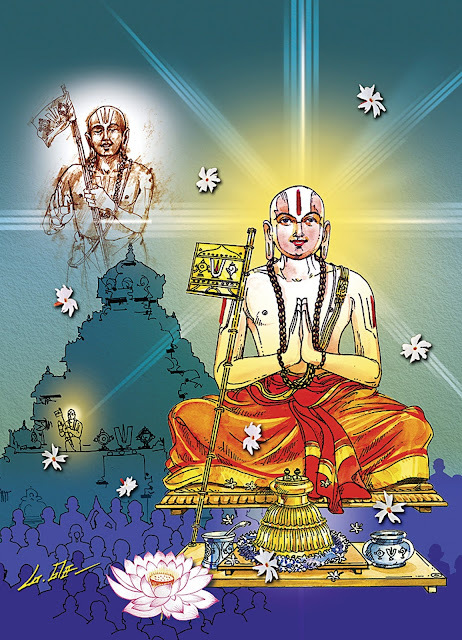 That was the kind of popularity attained by Ramanuja during his life-time as the crusader against the rigid caste-rules of those days which tried to block the entry of the lower classes into temples and prevent their participation in certain activities connected with the temple. Ramanuja had great respect for the rules of the Varna and Asrama Dharmas and he lays great stress on their observance, in his works such as the Vedarthasangraha and the Sribhashya. At the same time, he was eager to involve all the members of the society irrespective of their caste and creed, in the great task of spiritual enlightenment. He therefore preached to them the noble truths contained in the scriptures and correlated them with the ecstatic revelations of the Divyaprabandam of the Azhwars. He gave a definite shape and direction to his plan for the spiritual rejuvenation of the neglected lot in society by making Tamil as the medium of oral spiritual instruction, and also by making it the medium of writing commentaries on the Divyaprabandha. This may be called revolution at the grassroots level. Among the other Vaishnava schools of thought, and in the Janakivallabha Sampradaya of Ramananda in particular, one can notice the elevation of the lower cadres of society as their chief and most prominent characteristic. 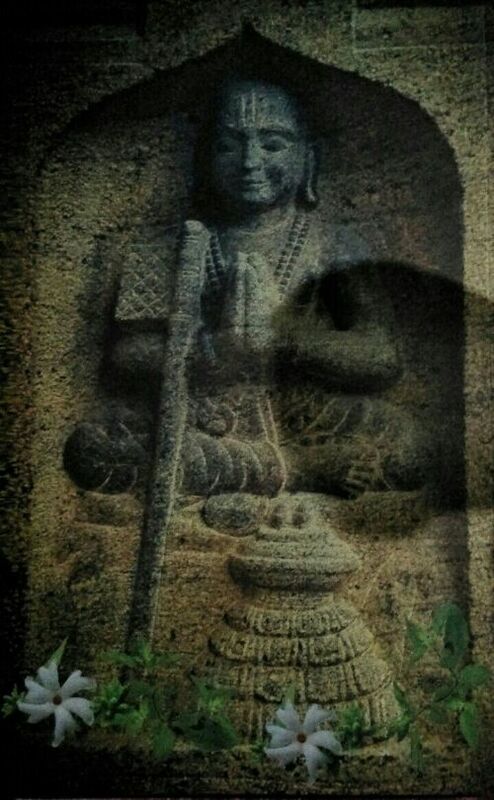 Directly, or indirectly, they all owe a deep debt of gratitude to the great visionary, Ramanuja.